Bobonaro District (Portuguese: Distrito Bobonaro) is one of 13 administrative districts within the Democratic Republic of Timor-Leste commonly known as East Timor. It is the second-most western district on the east half of the island. It has a population of 92,045 (Census 2010) and an area of 1,376 km². Its subdistricts are Atabae, Balibó, Bobonaro, Cailaco, Lolotoi (also spelled Lolotoe) and Maliana. In Portuguese Timor, the district was the same; however its capital was at Vila Armindo Monteiro, which is now called Bobonaro. The Savu Sea lies to the north of Bobonaro. The district borders the districts of Liquiçá to the northeast, Ermera to the east, Ainaro to the southeast, and Cova-Lima to the south. To the west lies the Indonesian province Nusa Tenggara Timur. 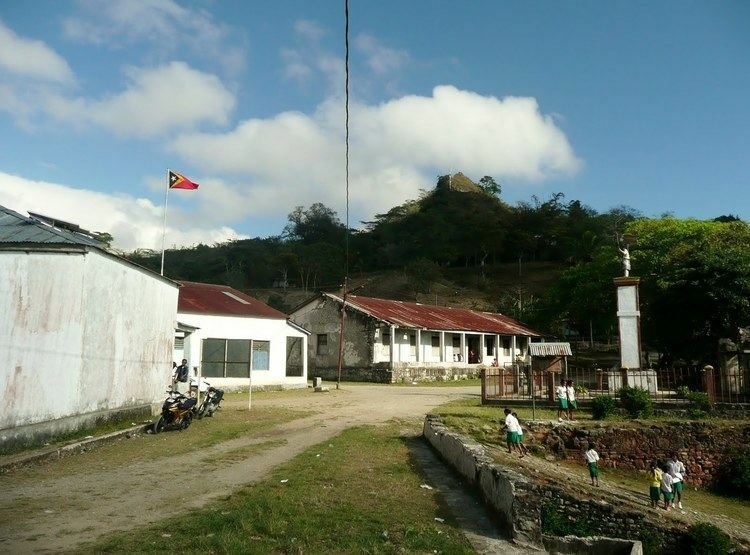 The capital of Bobonaro is East Timor's fourth largest city, Maliana. As of 2004 it has a population of 13,200. It sits at 9.00°S and 125.22°E, 149 km from to the southwest of the national capital, Dili. The next two largest cities in the district are Bobonaro City (also known as Aubá), with 6,700 people; and Lolotoi with a population of 3,800. Another village is Atabae in Atabae Subdistrict. Mota'ain, East Timor's main road border crossing into Indonesia's West Timor, is located in this district. The district had been a popular destination in Timor, due to its mountains and hot springs, but it suffered much violence in the war for independence. Balibó, located about 10 miles from the Indonesian border, was estimated by Human Rights Watch to be 70% destroyed during the militia violence that preceded the referendum for East Timorese independence. It was also the site of the killing of five Australian-based journalists (the Balibo Five) by Indonesian forces on 16 October 1975 during an incursion by Indonesia into what was then Portuguese Timor. In addition to the official languages of Tetum and Portuguese, a large part of Bobonaro speaks the Malayo-Polynesian languages Bekais and Kemak and Papuan language Bunak, which are designated "national languages" by the constitution.